The Seattle Art Museum is one museum with three awesome locations including the Seattle Art Museum, Asian Art Museum, and Olympic Sculpture Park. Our three distinct locations celebrate the region's position as a crossroads where east meets west, urban meets natural, local meets global. Our collections, installations, special exhibitions, and programs feature art from around the world and build bridges between cultures and centuries. Hey artists, thinkers, and innovators! Itching to make art, express yourself, take over the museum? SAM’s teen scene is packed with creative minds and contagious energy. 2 for $10 Thursdays: A TeenTix member may purchase a $5 ticket for themselves and for another person of any age ($10 total) on Thursdays at the Seattle Art Museum and Seattle Asian Art Museum. Always call ahead to plan for companion tickets. Please note that the Olympic Sculpture Park is always free for anyone of any age. P.S. 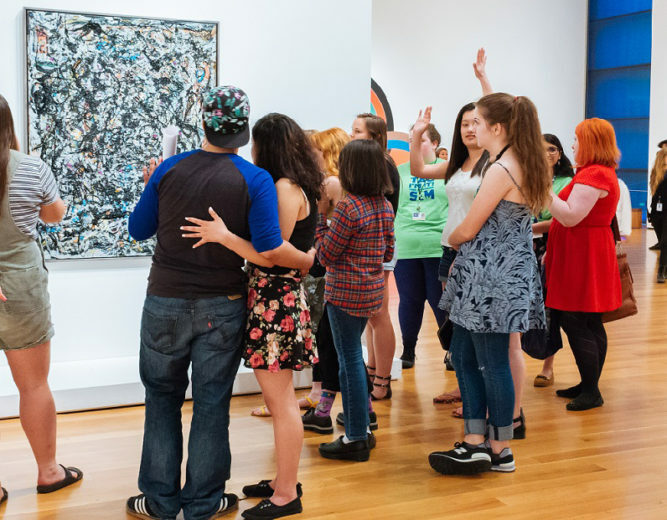 EVERY First Thursday of the month is FREE at SAM for anyone of any age!